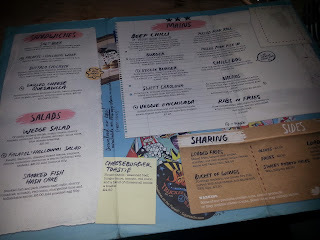 During the half term the family and I popped up to Manchester to have a day out, and after a long day of shopping and getting drenched in the rain we were hungry monsters! It was one of those days where we just wanted to eat something warm, hearty and delicious! When I was doing some research on where we could go and eat that night as vegetarians I stumbled across Home Sweet Home that is located right in the centre of the city and when reading the menu online I was dying to try it out and I am so glad we did! As we entered this american diner/ western restaurant it was packed and looked like we would have to wait for a while to be seated, but that was not the case! We walked and got directed to the back where there was a cute little corner table waiting for us and when I took my seat I knew I was in heaven. The atmosphere in the restaurant was amazing, and there is something on the menu for everyone, as veggies we all really enjoyed it as there was so much to choose from! 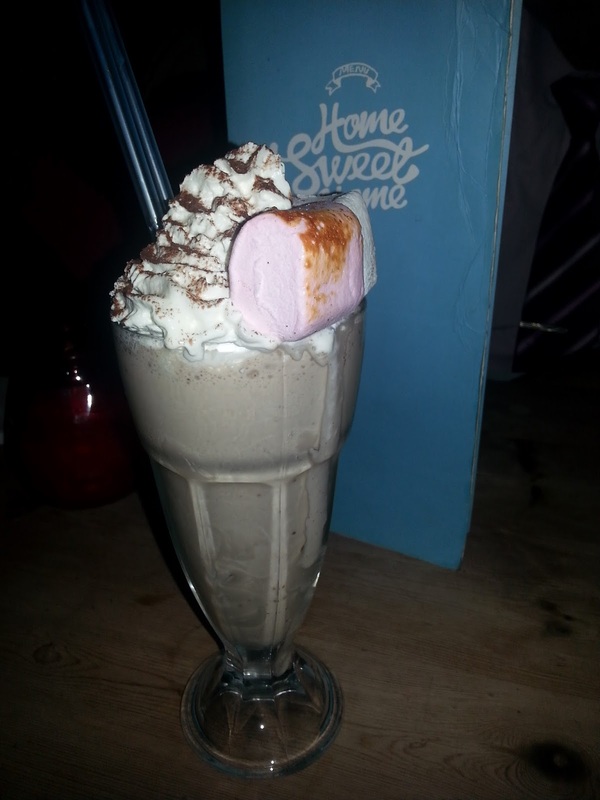 Not only were the mains sounds good..but the drinks where amazing! 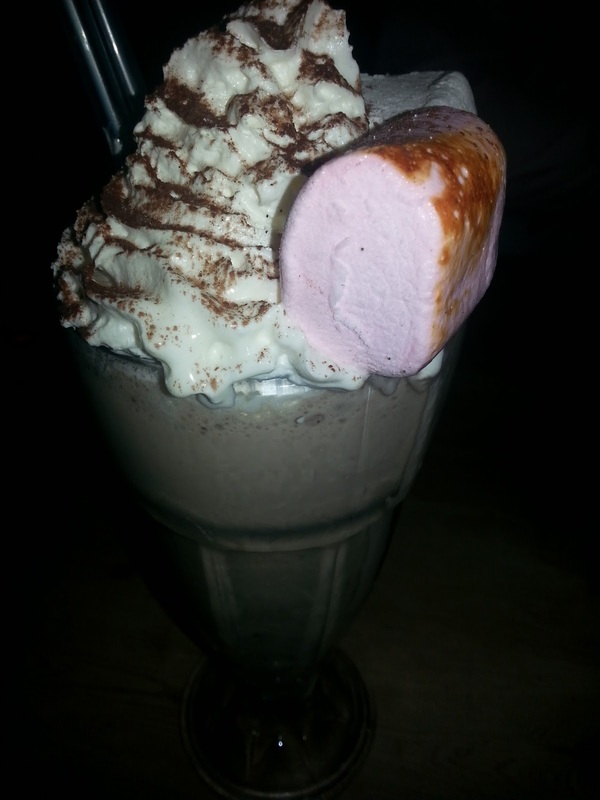 I ordered the Nutella Milkshake that was topped with roasted marshmallows and was truly heavenly! 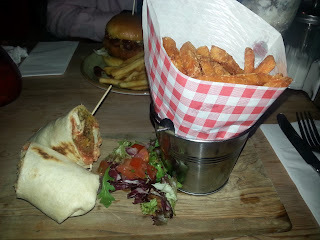 I just had to take a picture to share with you all, and then for mains I had there halloumi cheese and falafel wrap with sweet potato fries on the side - this was amazing. Every bit was so tasty and I felt like I was eating my life away. If you ever happen to pop into Manchester, then I could not recommend this restaurant to you all more the food, service and just everything was amazing! Here are a few pictures to melt your heart and you will be very jealous of me! The menu was so cute, and I loved the way it is designed! This was such an amazing tasting milkshake and I could of had another one and skipped my food! I gobbled up this wrap and fries so quickly!